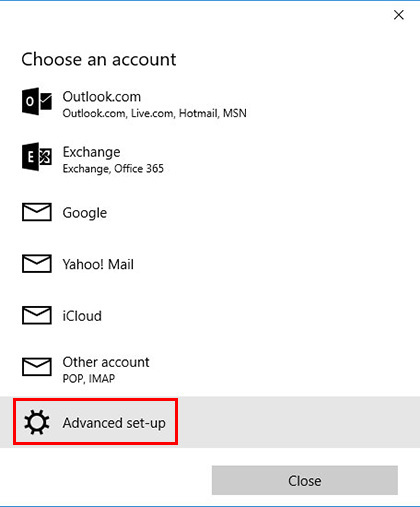 Open up Windows 10 Mail (you can locate it by clicking the start button and typing in 'Mail'). If this is your first time using Windows 10, you will see the below window. 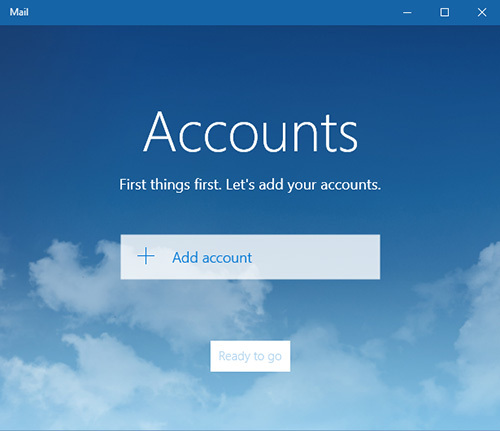 Select the "Add Account" button. 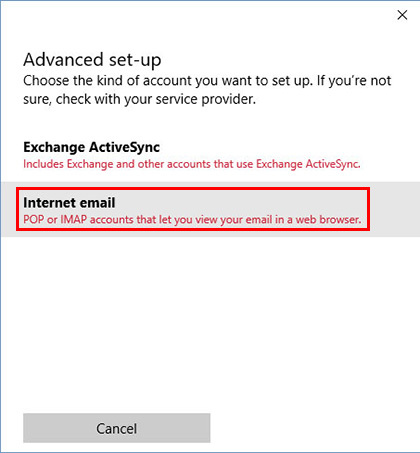 If you have already setup an existing email in Windows 10 and want to setup a new one, then instead of the above screen you will see what is below. Select the cog icon to open the Settings sidebar, then select "Accounts". After that, select "Add Account". Select the "Advanced set-up" option at the bottom. You may have to scroll to find this option at the bottom. Select the "Internet Email" option. Next fill in all your email account settings as per below. Once finished, click 'Sign In'. Account Name: This is the name you wish to give your account for your reference only. For example, you could put your email address to help you identify it. Incoming Email Server: Your email account's incoming mail server. To find this, please refer to your Account Information by logging into hostControl. Account Type: Select POP3 or IMAP4. If you are unsure which to choose, see the following Knowledge Base article link on Should I choose POP3 or IMAP?. You will then see the below screen to say the setup was successful. 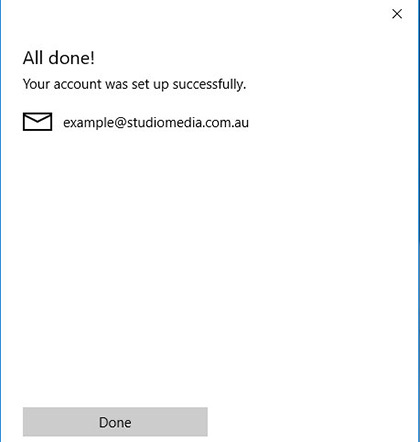 Click 'Done' to finish and you can now begin using your email account in Windows 10 Mail.